Christina Lee never disappoints guys and I really enjoyed The Deepest Blue. It had great characters and a sweet romance and I just loved the story. Callum and Dean are both really great. I took to Dean a bit more, but that’s the city girl in me I’m sure. Callum took a bit longer for me to warm up to, but I really liked him and my heart broke for him. Its not easy for him and I was so proud of how he overcame everything. I thought those two worked so well together and they proved that opposites do attract. I loved the city boy meets country boy aspect and I really liked how their differences complimented one another. I also really loved the secondary characters. Cassie is a great sister and a great friend and I adored her. She was really fantastic and I loved both her relationship with Dean and Callum. I also loved Grammy. She was fantastic. But the one who really stole my heart was Billie. He is such a great kid. I loved how he saw more than others thought. Callum was so great with him and I loved watching Dean take a liking to him too. Billie is just a great character and I have hopes that one day when he is older he will get a book of his own. What I also loved about this one is how different it felt from The Darkest Flame. Even though this is the same series, both books felt completely different and I really liked that. These two novels really and truly stand on their own. Not like some series where they stand alone but you miss some little mentions or jokes, no these are really their own entities and I thought that was great. 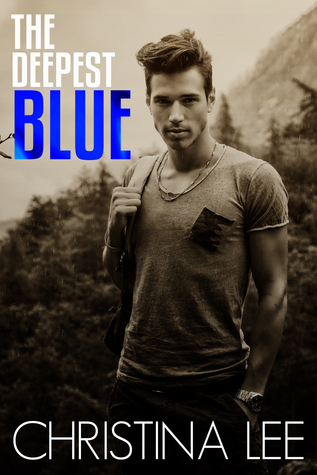 All in all, The Deepest Blue was a really great read and I loved Callum and Dean. If you want a great story with great characters and a great romance this is the book for you. I haven't read a Lee book in the longest time and I need to. I remember really enjoying those that I did read. The characters sound awesome and like ones I want to get to know. I definitely think you will enjoy this one! Callum and Dean are great. Love this author so much. Glad you enjoyed this one. I have got to read this author! Her books sound so good, and you love them, and that is all I need to know! It's on the list! Wonderful review, wifey cakes! !